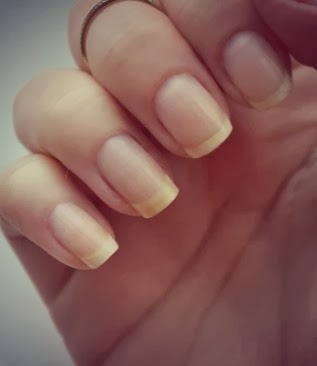 So, here are my naked nails. By far not perfect! They are the shortest they have been in months but way easier to manage. They unfortunately got REALLY brittle whilst I was poorly over christmas. OPI Nail Envy – works miracles on quick growth. Essie Millionnails – I wear this if I don’t want any polish on that day. 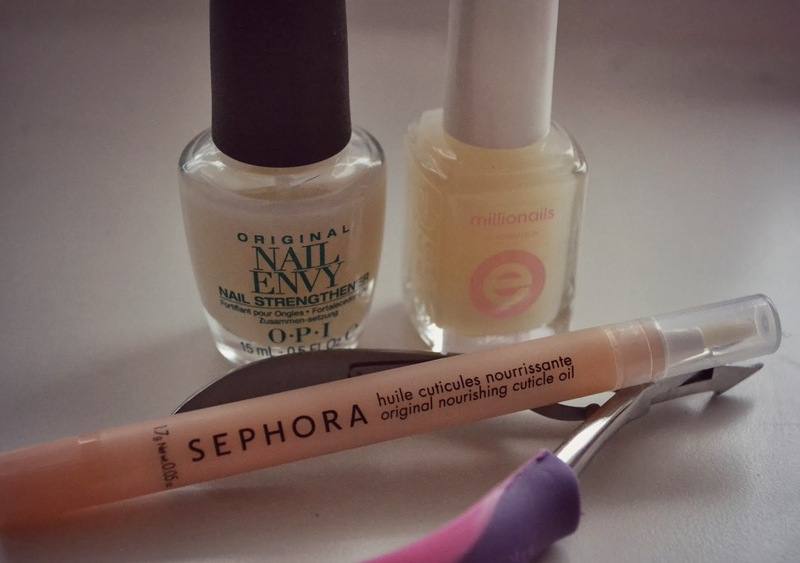 Sephora – Original nourishing cuticle oil – makes cuticles silky smooth. I use these clippers to push cuticles and cut away any ugly bits. I am the clumsiest person on the planet so I struggle not to chip/bash my nails. Keeping them as strong as possible really helps! I also drink tons much water which definitely makes them healthier. Ps – The slight yellow stain on my ring finger is from fake tan – I’m trying to grow it out as quick as poss!